The Unabridged Ieratikon is the most complete bilingual Ieratikon to be prepared. 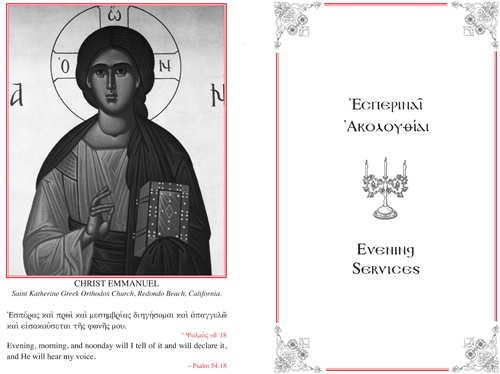 Based on the Ieratika of the Apostolic Diakonia of the Church of Greece and of the Holy Monastery of Simonos Petras, Holy Mountain of Athos, this Ieratikon will be offered in an easy to use multi-volume format. It will include the Divine Liturgies of Saints John Chrysostom, Basil the Great and the Presanctified Gifts, as well as all the different morning and evening services, the Deacon's Rubrics, the extra prayers, rubrics, con-celebrations, memorials and processions used throughout the year. It is meant to be a complete handbook for the Priest to use when he celebrates the liturgical offices of the Orthodox Church. A Diakonikon and an Archieratikon are also being prepared. Volumes I through III, are undergoing final proof reading.